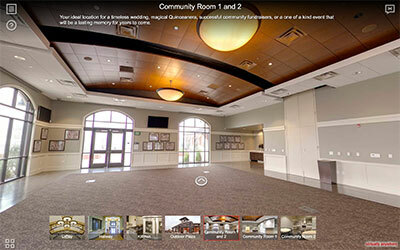 Convention and Event Center Virtual Tours are a great way to show off your facilities. No doubt, an in person visit or walking tour would be ideal, but visiting from afar or touring during another conference may not be possible. Even worse, visiting while the facilities are empty or under construction leaves much to the imagination of a prospective client. 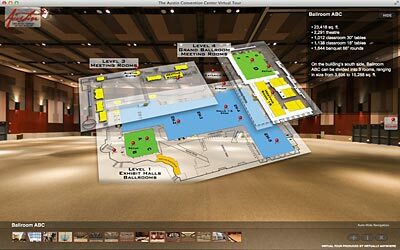 A convention virtual tour allows you to capture the conference experience in its best light, under ideal conditions, then provide access through an online, self-paced, immersive browsing opportunity for visitors. With most consumers and business people using the web as their first source of information in making a conference center decision, it is more important than ever to provide a realistic online perspective of the conference floor, exhibit halls, meeting rooms, foot traffic and other accommodations. Virtually Anywhere creates virtual tours for Convention Centers, Museums, Rental Properties, Hotels, Resorts, Spas, Tourist Destinations and much more. 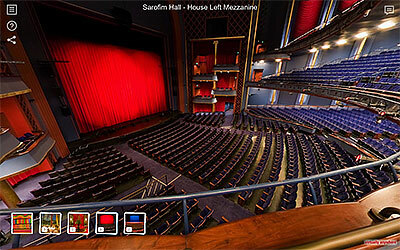 Convention and Event Center Virtual Tours are a great way to present your facilities in action, and in the best light. Creating a virtual tour involves high-end 360-degree digital photography, software programming and professional know-how to convey the feeling of actually being there. Virtually Anywhere has spent more than a decade producing industry-leading virtual tours and brings to bear everything we have learned into each new project. 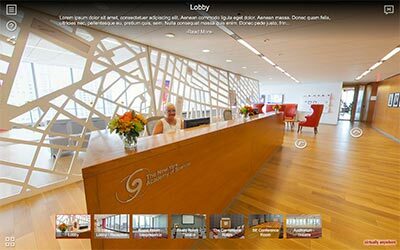 If you are looking for a hotel virtual tour company to create a powerful, online virtual tour of your convention center, look no further than Virtually Anywhere.